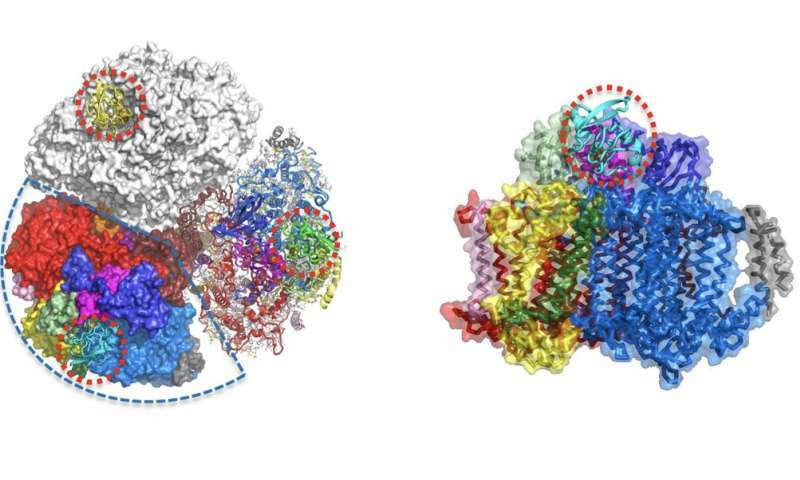 Photosynthesis involves a protein "piston"
"We found that the crystal structure of the PSI–Fd complex contained two PSI trimers and six bound Fds in each crystallographic asymmetric unit," Kurisu says. "The Fds were non-equivalent because they were located at different distances from PSI; that is, Fd had strong and weak binding states in the PSI–Fd complex." The group's findings were corroborated by the results of further characterization of the PSI–Fd complex by spectroscopic and chromatographic measurements, which also indicated that Fd had two different binding states in the complex. 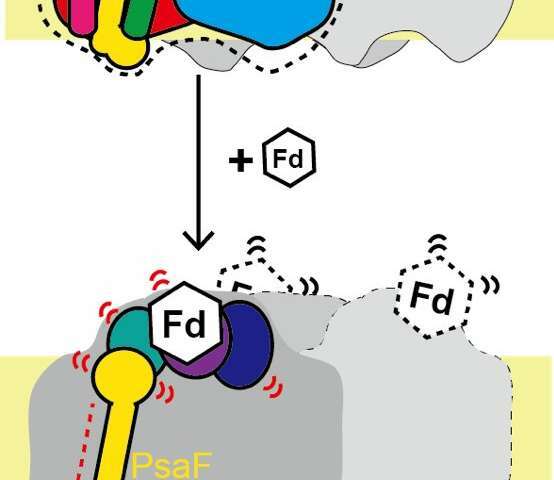 By considering all their experimental findings, the researchers developed a mechanism to explain the formation of two Fd binding states in the PSI–Fd complex. "We propose that the binding of Fd to PSI lowers the symmetry of the three-dimensional structure of PSI," an associate professor, Hideaki Tanaka, in the team explains. "This induces a piston-like motion of one of the subunits of PSI to provide a complex that displays rapid electron transfer through PSI from the donor (Cyt c6) to the acceptor (Fd)." The team's findings may provide clues to allow optimization of artificial photosynthesis to obtain complex chemicals from carbon dioxide, water, and light.